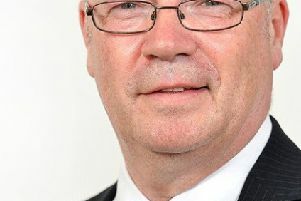 North East Beds MP Alistair Burt has hit out at the massive disruption to passengers after a major change in train timetables saying it is “unacceptable”. Thousands of commuters have been hit by the changes, which have seen trains cancelled, arriving late or overcrowded. The companies stated the changes will bring more trains on many routes and introduce new routes bringing direct services between new destinations. But so far commuters say they have seen no benefit to the changes. Many have taken to Twitter to vent their anger at cancellations, late trains or changes and their inability to get to work. On Thursday last week commuters blocked train doors at Hitchin station after an announcement that the train would not be stopping at any of the Bedfordshire stations, including Arlesey, Biggleswade and Sandy and that replacement bus services had been provided. Twelve days after the changes were introduced people were still taking to social media to vent their anger. Mr Burt has joined with other local MPs to protest to Transport secretary, Chris Grayling over the chaos. “The new timetables have been envisaged for months, and local MPs see no reason for the current excuses covering so many trains. The odd hiccup in a new timetable is understandable; wholescale cancellations and being unable to say whether trains will run or not is simply not acceptable. how it is being solved. Mr Burt will keep his social media and website updated with further information as it becomes available. Rail passengers are advised to check the National Rail website for service disruptions before they travel. Charles Horton, CEO of GTR, said: “We always said that delivering the biggest timetable change in generations would be challenging – but we are sorry that we have not been able to deliver the service that passengers expect. “Delayed approval of the timetable led to an unexpected need to substantially adjust our plans and resources in an unexpectedly short timeframe. We fully understand that passengers want more certainty and are working very hard to bring greater consistency to the timetable as soon as possible.